The Consolidated B-24 Liberator was one of the most widely used aircraft of World War II and was the most produced heavy bomber in history, with over 18,000 rolling off the assembly lines. The original design was produced in response to a request for Consolidated to build B-17 Flying Fortresses for the Army Air Force, but company president Reuben Fleet decided to submit a bespoke design for a more modern bomber with twice the bomb load of the Boeing aircraft. The specification was later formalised and the B-24 was ordered. Unlike the B-17 the B-24 had a slim, shoulder mounted ‘Davis’ type wing with a double-sized bomb bay underneath the main spar that utilised rolling doors. The tricycle style landing gear was the first to be fitted to an American bomber. Many elements of the aircraft were borrowed from other Consolidated designs – the tail was modified from the PB2Y Coronado, the engine mountings from the PBY Catalina. 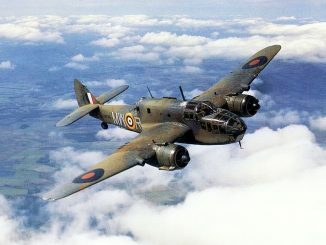 Initially the bomber was under-armed but later versions would add many more turrets and extra defensive guns. A single B-24 was caught on the ground and destroyed at Pearl Harbor. This machine had been assigned to carry out reconnaissance of the Japanese Mandates but never got the chance. 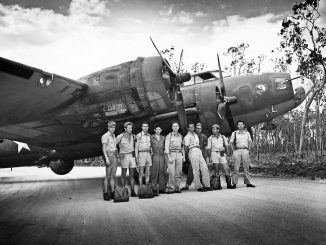 During the scramble to find additional reinforcements for the Pacific, dozens of export model “LB-30s” were requisitioned and despatched to join the 7th Bomb Group during the failed defence of Java. Later, the B-24 Liberator proved itself to be an indispensable part of the Allied air forces. It became the primary heavy bomber of the AAF, replacing all B-17s in the Pacific by mid-1943. It flew extensive bombing missions during the New Guinea campaign with the 5th Air Force, and was the main heavy bomber of the 10th and 14th Air Forces in China and Burma and of the 11th Air Force in the Aleutians. 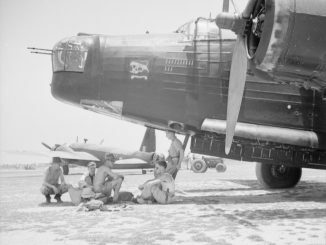 Hundreds of Liberators were also supplied to the Royal Air Force which used them throughout the world, including during the India-Burma campaign. 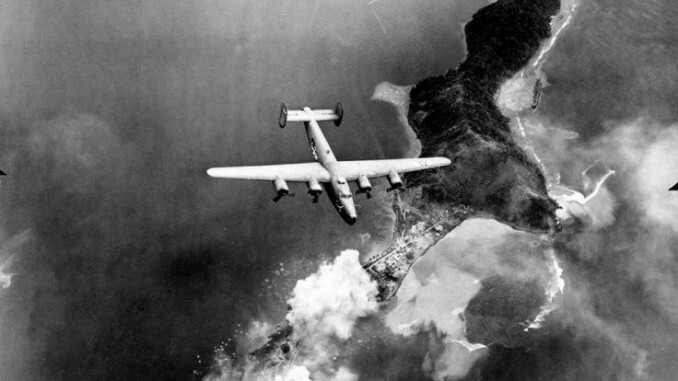 A deal was struck to allow the Navy to buy B-24s, which were re-designated PB4Y Liberators. These were used to carry out long-range patrol missions throughout the Pacific as the Central Pacific offensive unfolded. A number were also assigned to Marine photo-reconnaissance units, which carried out daring photography missions over Japanese bases such as Truk. B-24s were also converted to transports as the C-87 ‘Liberator Express’ and as the dedicated C-109 tanker version.